I would like to know WHY 85 out of 90 days this summer (June 1, 2014 through September 1, 2014), runway 22L at JFK only had 5 full days of non-use? I would like to know WHY one runway was used 85 of 90 days? I understand operational efficiency, but WHY is this runway in use (1) even when the airspace is wide open, (2) operational capacity demands are low, (3) no runway closures and (4) calm winds. Let’s not mince words, please don’t give me bull crap excuses such as runway selection is based on several conditions, such as, wind, runway maintenance, etc. Is this information NATIONAL SECURITY? The FAA code of ethics states, federal employees must be truthful with the public. (1) Public service is a public trust, requiring employees to place loyalty to the Constitution, the laws, and ethical principles above private gain. WHY is this runway in use (1) even when the airspace is wide open, (2) operational capacity demands are low, (3) no runway closures and (4) calm winds? On behalf of the Village of East Hills, we are very concerned with the lack of response, communication and progress by Paul Laude and question if he is the right person or qualified for his current role. Numerous residents have reached out to him over the years only to be ignored and we continue to wonder if he is capable of handling the responsibilities associated with his job. The few residents that actually spoke to him, myself included, have been underwhelmed by his passion or knowledge of the situation. We later learned what he told us was inaccurate, untruthful and just an attempt to placate very concerned residents. The arrivals into JFK runways 22 has been incessant and at all hours. The numbers reflect this. We need someone with better communication skills and with a passion for helping the people that pay their salary. I hope this will be addressed and Id be happy to discuss this in further detail with you. I have written to you in the past — including email and snail mail (letters dated November 17th. and 20th. 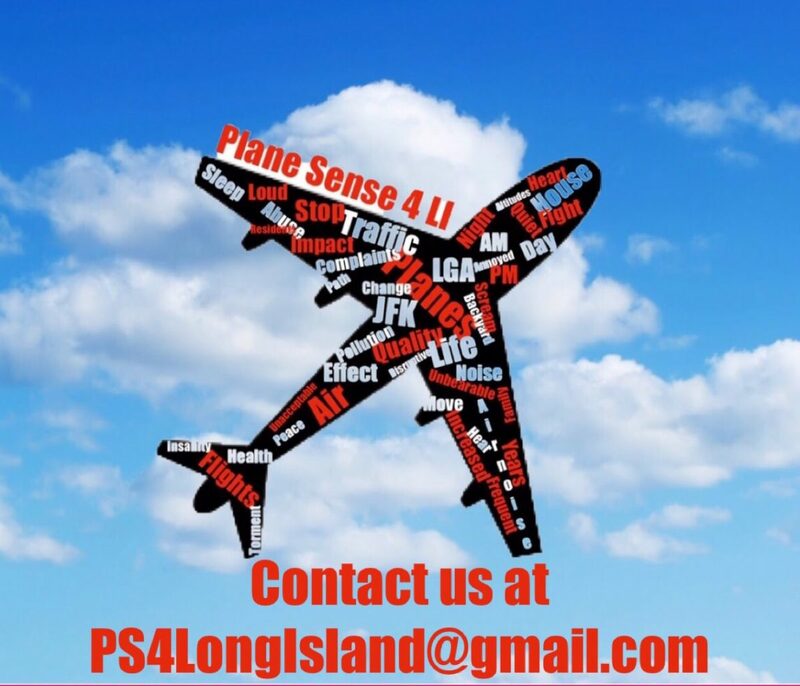 of 2014) requesting that you support the numerous calls from New York City residents and environmental groups calling for City Council hearings on aircraft noise and pollution. Today, when I called your office I was advised by Mercedes to contact Jahneille Edwards and your Deputy Chief of Staff, Jessel Burney, to follow up on this issue. As the Chair of the City Council Committee on Environmental Protection New Yorkers look to your office for support when the environment needs the attention of the City of New York. Failing a response it would appear that the City Council’s position on this serious environmental debacle happening on your turf and under your watch, does not matter to the office whose responsibility it is to address environmental concerns for the residents of New York City. One would gather from the 2014 New York City environmental scorecard that your office supports calls for environmental protection. Everyone wins when a politician not only takes a stand, but also strongly supports legislation protecting the air we breath. There is no better example of this strength than the stellar example you set by introducing a bill to stop idling vehicles and thereby reduce the particulate matter that causes asthma and other respiratory diseases. The take-away from that statement is that you understand that air pollution is an issue in New York City and that you stand behind legislation to tackle this problem. There would be no better way to demonstrate to the citizens of New York City that you take very seriously the quality of the air they breath than to support a call for aircraft noise and pollution hearings in the City Council where citizens, scientists and health experts are allowed to present the raw scientific data showing that the two airports embedded in our environment are strong contributors to this environmental hazard. This problem must be put front and center if we are to reach a solution that makes New York City not only a world-class destination for travelers, but also a welcoming environment for those who live here. New York City is the landlord of these two airports. That means you, along with your council members, are the landlord. The lease between the City of New York and the Port Authority leaves no room for debate: Clause section 28, sub-section ( j ) is unambiguous – they must comply with all Environmental Laws. As the landlord — as with any landlord — you have the right (and possibly obligation in this case) to demand that the Port prove they are not in violation of any environmental laws. This is quite different from you, the landlord, proving that they are in violation. And finally, I would like to add that it is harmful to the standing of New York City and the health of all New Yorkers to conflate the New York City economy and it’s reliance on the profits of LGA and JFK in such a way that the message telegraphed to your residents is that we must accept the pollution that these airports inflict on the health of New Yorkers at the behest of the traveling public and Wall Street executives. We need to be proactive. Your stand on idling vehicles is admirable. Now let’s tackle the pollution that aircraft inflict on the boroughs. Reports from the Environmental Protection Agency, here and here, speak volumes about particulate matter pollution in Queens and Brooklyn. A study by three reputable scientific organizations: 1) the Keck School of Medicine, Department of Preventive Medicine, University of Southern California, Los Angeles, 2) the Department of Civil and Environmental Engineering, University of Washington, Seattle and 3) the Department of Environmental and Occupational Health Sciences, University of Washington, Seattle, all come to the same conclusion in their report: fine particulate matter contributes to respiratory illnesses as far as 10 kilometers downwind from U.S. airports. Additionally, kerosene, which is the fuel that aircraft burn, is a major contributor to fine particulate matter at ground level, especially from low-flying aircraft. This email cannot begin to explain all the options and alternatives that can begin to turn the tide in favor of a healthier New Yorkers, but a conversation with us, and those we represent, could. I respectfully ask that you please make the time to meet with our representatives so we can work together towards a viable solution for this problem. I am disgusted with this ongoing problem. I work all week and would love to sit outside and enjoy my yard.All week-end airplane after airplane loud and low.Every 2 minutes plane after plane.I attended meetings month after month and gave up.Not one thing has changed in the last coupletter of years. It’seems really sad that nobody does anything nor are they held accountable for ruining people’say quality of life. This is unbearable!! The first plane I heard today was at 2:15 am and even though all our windows were closed and the air conditioner was running, the loud noise from the plane flying over our home woke me from a sound sleep. And this has continued throughout the entire day……every 90 seconds a low flying, extremely loud jet flys overhead. As one passes, you can already hear the next one approaching. This is Day after day, it’s non-stop! We can no longer venture outside to enjoy a summer barbecue or a peaceful summer evening! The thought of doing any type of entertaining outdoors is now completely out of the question. We have become prisoners in our own homes! Considering the high amount of taxes we pay here on Long Island, this is a disgrace! Can they not alternate flight patterns to give us a bit of relief? This air and noise pollution must be addressed and a reasonable solution must be found. I have never filed a complaint before but the frequency, loud and low flying aircrafts have me at my wits end. Something must be done to resolve this! Please find time to at least submit a single complaint during the month as complaints to the PANYNJ count as one household during the monthly rollup report.